The score is given as 4-4, but von Scheve actually played two of the games in place of von Bardeleben, who was ill temporarily. 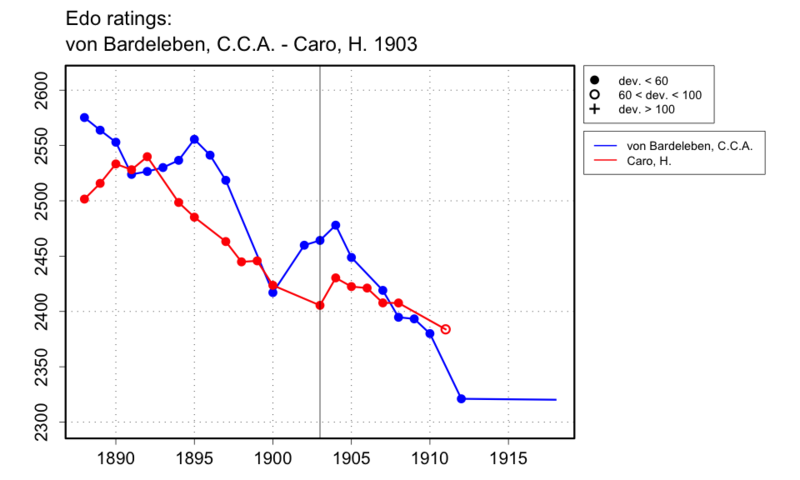 The fifth game was won by von Scheve, and the sixth by Caro against von Scheve. The result of those games I record separately. Thanks to Michael Kühl, who sent this information from the Neue Hamburger Zeitung.